Post Your Production Information and Placement, Integration and Promotions Needs! 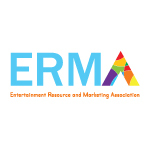 Reach all of the ERMA Agencies and Corporate Members who have “opt-in” to receive production announcements! Enter the information in the form below and Press to send! ERMA Website * Time limit is exhausted. Please reload the CAPTCHA. The ERMA Membership is just a click away! Enter your placement, promotion, transportation, location or even hotel and airline needs! Announce Your Production! :Tell us about your production and add a list of all the items you are looking for! Special Requests! Post that special item you are looking for. Promotions!Let us know about promotional opportunities that tie in our member's clients! Hotels and Travel Our membership and client's include Hotel and Airlines! Production Resources Are you looking for someone to handle your PRODUCTION RESOURCES?. Clearances Are you looking for someone to handle your CLEARANCES?